here you go. havent had a chance to wash the car, just rinsed it since it got pooped on real bad. snapped some quick pics before im going to take it back in. Sweet deal, hope to see you there! So I was at a Euro meet last night and Schaumberg and there was someone with a new black RX-8 hanging with the S2000 crowd. Yeah that was me. A friend of mine owns an S2000 so he invited me along. Suprisingly they really liked my car and were very cool to hang out with. Most of them are like me in that they just like cars regaurdless of make and model. I also just got back from a Windy City Miata Club autocross at Tire Rack which was a blast. I finally got to really let loose on the car and man it was lots of fun. Last edited by JB_Rotary; 08-29-2005 at 12:23 PM. Racewar and I will be at the Plainfield Cruise Night tomorrow at 6pm. If anyone else is interested, just show up!! Shweet! :D The more the merrier! what kinds of cars? Shelby Cobras? The run group I was in and the majority of the cars there were Mustangs. Lots of Boss 302's and Shelby GT's. There were 2 Rousch prepped cars there, a stage 2 and a stage 3, I'm not sure what they were running as far as HP goes. The only cars that were able to pass me were the 2 Rousch cars and a caged Mustang hatch on R-comps, also there were 2 Ford GT's there. I was able to keep up with another 05 GT vert on R-comps, and realistically they should have waved me by. I was on his door handle coming down into 5 and I didnt get a wave or a flag But an Elise on Hoosiers felt my wrath, as well as a '67 fastback with a lot of mods. There were a lot of v8 owners that felt burned at the end of the day, thats for sure. Dude, send me info and I'll put it in the first post !!! $350 for both days up at beautiful scenic Road America! 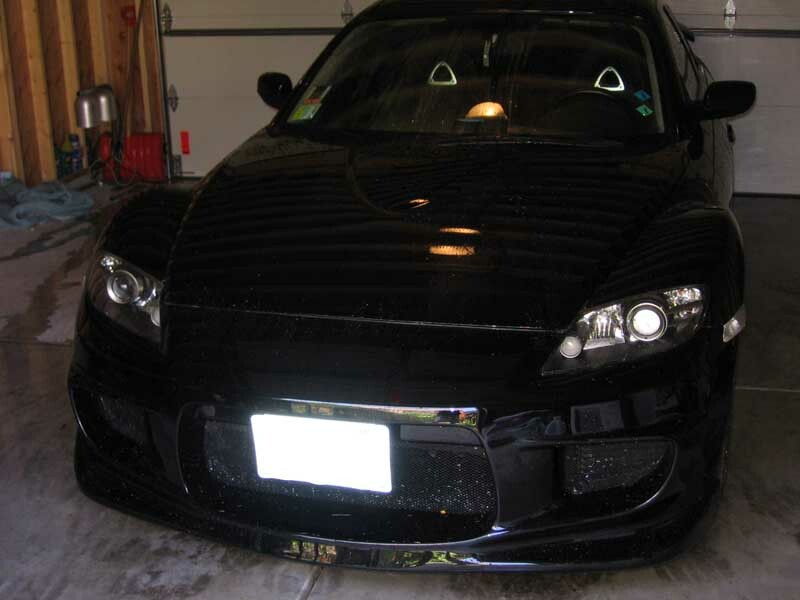 Would anyone be interested in started our own website for Chicago area RX-8 members? Someone I know tried to start up a chicago area track forum (chicagosportscar.net) but it basically failed and he has webspace and vbulletin license that we might be able to use for free. I don't know if there are enough Chicago people to warrant our own space, but it might be fun to give it a shot. Of course, we'd have to get RedSheDevil as a moderator if we create something. Or perhaps, we should do a few meets and see how dedicated the core group that RedSheDevil has rounded up here is. I was waiting for a few peeps to reply about the email group, but it seems they might not be interested. Any suggestions on the best way to get this info out? Excel, Word, pdf??? I can create it in any of them, just want to make it easy for everyone to open. Let's create a special RX-8 Club Chicago logo that we can all photoshop into our signature files to show our unity. 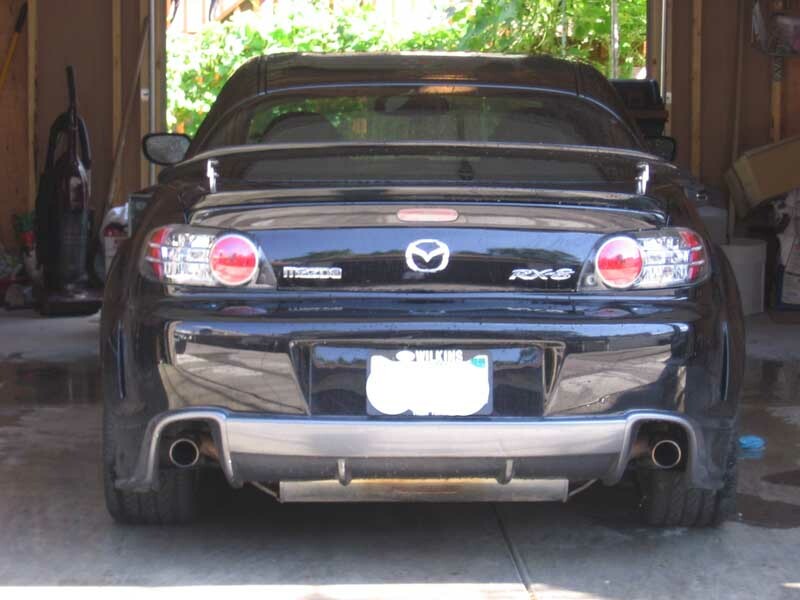 We could also change our user title to RX-8 Club Chicago or change our location to RX-8 Club Chicago. What should we call our little group here? Suggestions? If we did Windy City Rotaries we could include RX7s and such .... ??? I Like it! I would go with "RX-8 Club Chicago" or "Chicagoland Rotories" something like that. lol. It would be nice to have our own logo though. RCC was the Rotary Club of Chicago, they have a spot in the MW forum over at the 7club. But the club is basically defunct, and they dont really run anything. If we could get something going we might be able to pick up some of their more active members. BTW the fbody event is the 15th & 16th of October. They have a driving seminar on that Friday IIRC if you havent run the course yet and would like some help. They also have awesome instructors if you want someone to ride with you. Also the help is free, so dont hesitate to ask! Hey Blue, Are you joining NASA? They will run RA at least once next year. I just saw your tire pressure quote in your sig? What tire pressures were you running? Didn't I suggest to you that 40 psi was on the high side? Also you were right about the pressure, it almost bit me too. My rear got loose coming down in 5 at ~115. That was SCARY. I backed off during that session and let out a ton of air on Howard's reccomendation. I dropped down to 33 front and 29 rear and it was like driving a different car. Totally awesome! It didnt look like I was getting any tire roll, but what would I be looking for? You'd look for scuff marks/warn tread on the sidewall of the tire. Autocrosses put white shoepolish on their tires to check for rollovers. You can tell how far the tire is rolling over by seeing how much shoe polish rubbed off. The tire bits were proabably just clag that you picked up from people's R comps on the track. FINALLY! Got my Shinka back from the dealer after they mucked about with it on "I owes" on the original purchase for 3 weeks. Dang, they had it longer than I did. So now to scour the forum for tips on cleaning, rotor rust, etc. I'm getting ready to take the Batmobile out for a spin. Hey Gator, let me know when you want to hook up! ^w00t! go have some fun!